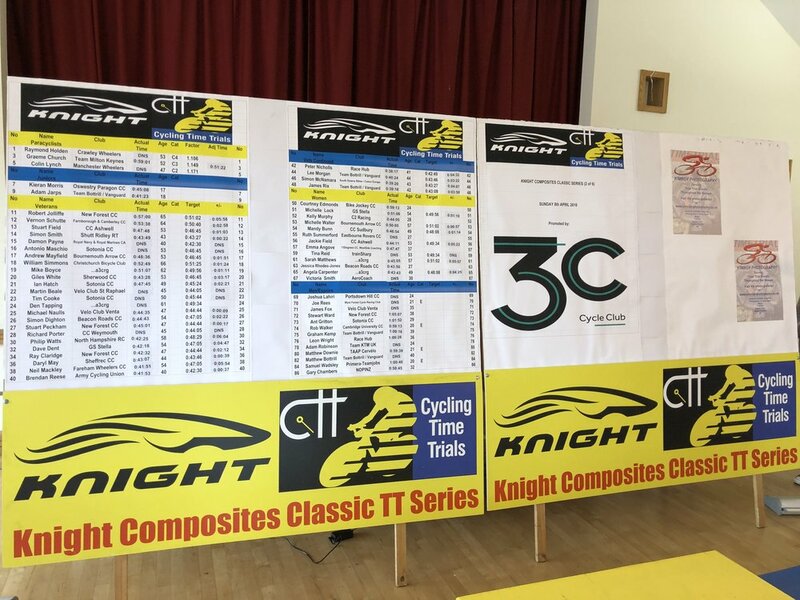 Sunday 8th April 2018 saw 86 competitors riding in one of the 6 rounds of the Knight Composites Classic TT Series hosted by 3C Cycle Club. 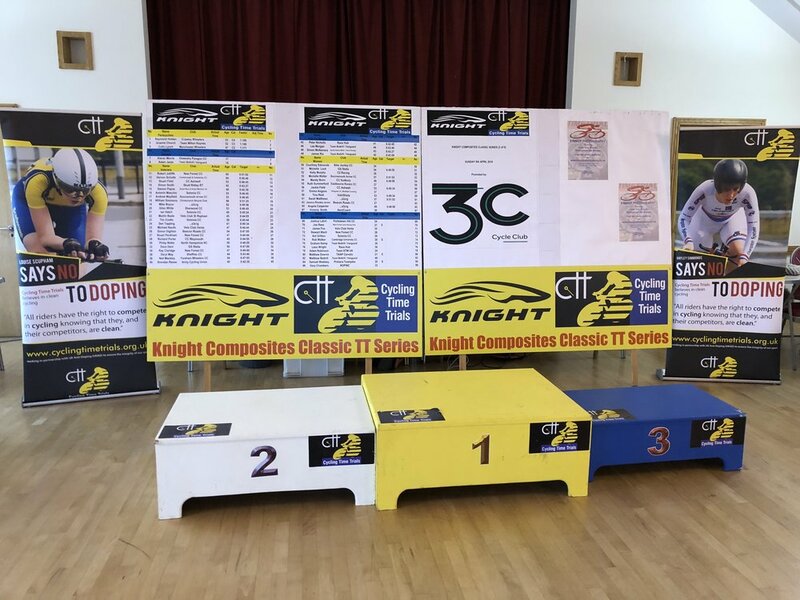 The day started at 7am for the volunteers from CTT and 3C Cycle Club with a quick setup of the hall ready for riders to sign on from 7:30. A bleak looking sky greeted riders as they were handed their numbers and a mixed level of happiness showed that the weather would not make for a pleasant morning on the bike. The field was spread over many categories: Men, Women, Espoirs, Juniors, Veterans, and Paracyclists which made for a very diverse set of riders. 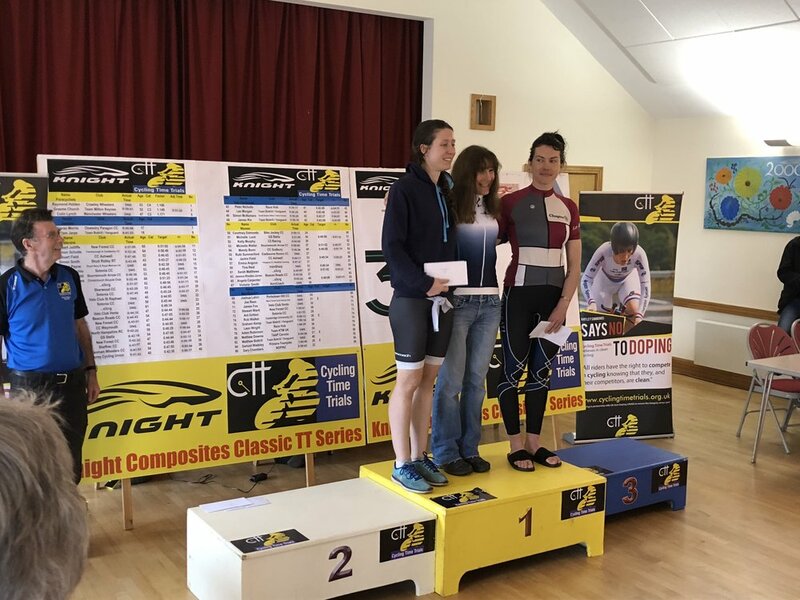 Each riders distance varied slightly, with different categories riding a different number of 8.9 mile 'loops' of the P163 course to complete their full TT effort. Many soggy riders (and marshalls!) then returned to HQ, where they were greeted with home made cakes, tea and an excellent award presentation. 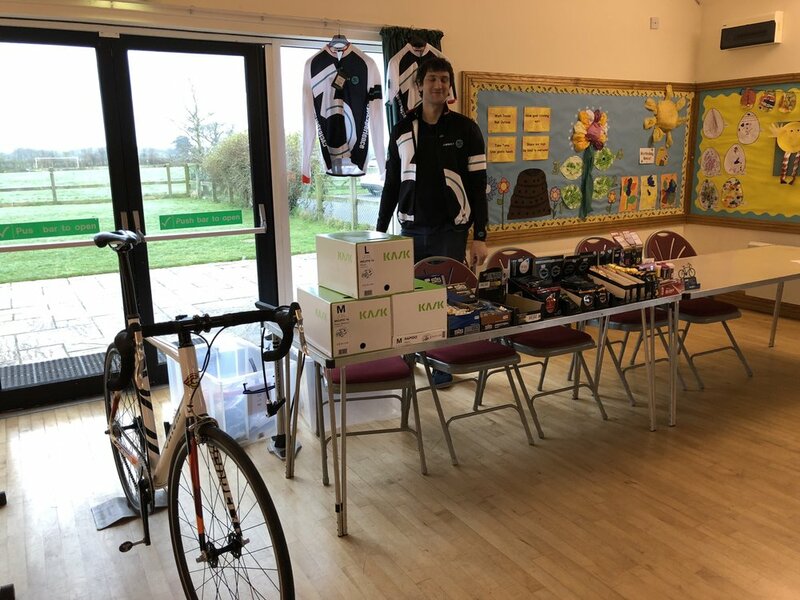 There was also a display from local bike shop 3C Cycles, for any riders to purchase post ride recovery snacks, or dry kit! Well done to all the riders adhering to rule #9 and a big thanks to the marshalls and volunteers who were out there allowing them to ride. In particular, thanks to Martin Balk, who organised the whole event. Another fantastic day of racing in the new forest!